Cleanse and hydrate with the Amazing Humidifier—this device rests and/or attaches to any bottled water (think Evian, Dasani, Smart) to eliminate 99.9% of bacteria and contaminants in your air. 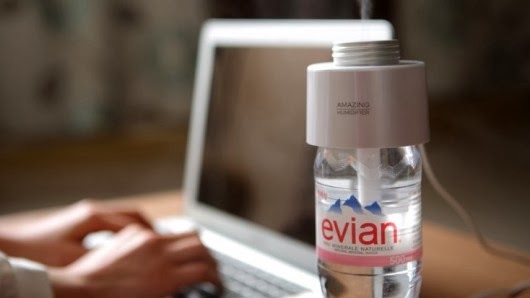 To use this device, simply attach a filter to the inside of the humidifier, place the humidifier on top of the water bottle, and plug your USB in. This piece works to clean your air with steam capacity for up to eight hours. Your purchase includes two filters and a USB cable. On sale right now on Amazon.